The Oxford English Dictionary defines Spa as a place or Resort with a mineral spring that is considered to have health giving properties. A place offering health and beauty treatments. A bath containing hot aerated water. From these three definitions, you can see why Spa has a long history bound up with ‘taking the waters.’ The modern organization ISPA defines the spa experience as “your time to relax, reflect, revitalize and rejoice.” To many the word has begun to lose meaning however in that a Spa can be anything from a back room in a hair salon to a luxurious destination resort. It’s important to remember that there is no regulation of who may use the word Spa. Investigation and a quick tour of the facility will let you know if you’re in the right place. 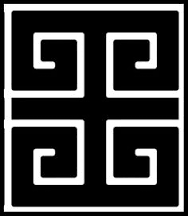 Here at My Coign of Vantage I want to help you sort out fact from fiction and pretensions from reality. This is a short list of different types of Spas that you can expect to encounter and a bit of information about what kinds of services you can expect from each one. Cruise Spa: A Spa located on a Cruise Ship that offers the standard Spa treatments you would expect to find in any regular Spa setting on the mainland such as massage and facials, manicures and pedicures. They may also offer classes and activities such as yoga and meditation as well. Day Spa: Day spas are usually found in urban and rural centres and have no over night accommodations within the facility. They usually serve a local market. All will offer professionally administered services such as massage, facials, manicures and pedicures. They may also offer a menu of holistic alternative therapies such as yoga classes, which are increasingly common. Destination Spa: A Spa that includes overnight accommodations, room service and restaurants where the focus is on wellness, the art of well-being and the promotion of activities and educational sessions, administered by professionals, designed to help develop skills for a healthy lifestyle and habits. The typical stay is two or three nights. Guests who visit this type of facility will be there primarily for the spa treatments, workshops and fitness facilities. Some people may argue that unless the primarily reason for the guests visit is the Spa itself rather than say the golf course, then it’s not a Destination Spa. Usually such arguments tout Spas such as Mirival or Canyon Ranch as their models. 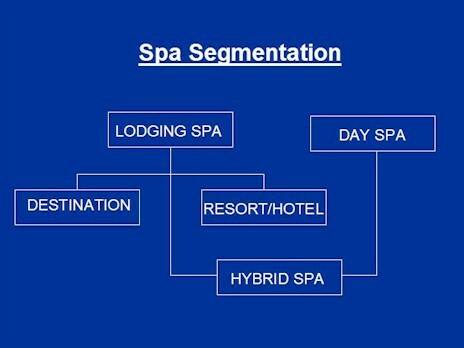 Spa goers are called guests and not clients, denoting the often overnight nature of their stay. Medical or Medi-Spa: A facility that offers medical consultations in addition to traditional spa fare. The facility may or may not be under the supervision of a medical doctor. There are no set standards regarding who may use this term. Depending on the facility, trained medical personnel can be full-time or part-time and offer any variety and number of consultations or treatments to address a wide range of acute or chronic conditions such as rosacea, depression and weight management to total mind-body-spirit healthcare. A Medi-Spa is also a term used to refer to professionally administered procedures such laser hair removal, laser fotofacials and Botox injections. Whether or not a medi spa goer is called a client or a guest depends on the facility. Mineral Spa: A facility offering natural mineral springs. Resort Spa: A facility offering overnight accommodations along with room service and restaurants where one of the primary reasons visitors come to the resort is to spend at least part of their stay visiting the Spa and having professionally administered treatments. The focus is often on luxury and beauty but wellness modalities and treatments are common. Often used interchangeably with Destination Spa. Wellness Centers: There are no rules or regulations for using the term Wellness Center and in recent years, it has begun to be popular with Hospitals who offer a YMCA type of program for the local community that often includes such diverse practices as yoga, massage and swimming. Typically, a customer is called a client rather than a guest. This trend among hospitals will likely continue and may in time shape the discussion about preventative health care and how we look at insurance costs.